What Is Adult Coloring Book Therapy? There are so many things in this world that are made to help reduce stress. In a world that generates so much stress for an individual, it can be hard to find an efficient and effective way to release some of it. What if there was something out there that could literally be done anywhere and costs the least amount of money doing it? Recently, people have been flocking to a method that has been in practice since the 40’s, but only recently started becoming more mainstream; adult coloring book therapy! Color is used for communicating, telling stories, advertising, teaching, and so many more things. There are many reasons one might seek to start coloring. If you’re feeling stressed it can be a great way to reduce the effects. Psychologist Gloria Martinez Ayala advised that both sides of the brain are activated when coloring. In an interview with Huffington Post she stated “the action involves both logic, by which we color forms, and creativity, when mixing and matching colors. This incorporates the areas of the cerebral cortex involved in vision and fine motor skills. The relaxation that it provides lowers the activity of the amygdala, a basic part of our brain involved in controlling emotion that is affected by stress”. Some art therapists believe that coloring is not only nostalgic, but it can bring you to a meditative state of mind. It can help reduce anxiety and at the same time, help an individual to be emotionally centered again. It allows adults to relax, yet still, exercise their brains and be creative. Adult coloring is more therapeutic than one would imagine. If someone wants to express their feelings and emotions, they can do so with color choice or texture. The individual is able to focus more on the intricate designs and create a colorful art piece any way they want. Adrian Hill was the first person to coin the term “art therapy”. He did so when he was recovering from tuberculosis, and turned to drawing and painting for their therapeutic benefits. He said art therapy can “build up a strong defense against his misfortunes”. The beauty of adult coloring is the possibilities are endless; it’s art, there aren’t any rules. The purpose of this form of therapy is to get an individual to express themselves in the simplest way possible. Where Can I Find Materials For Coloring? There are many resources to help find tools for adult coloring book therapy. For one, there are free pages that can be printed out through a simple search on the internet. Search for “Free Flower Adult Coloring Book Pages”, and images will show up that can be printed and let you begin to work on your new colorful masterpiece. Most people have crayons, colored pencils, or markers in their homes; these tools will work just fine. However, there are more options available, which can also be found on the internet or in an art store. 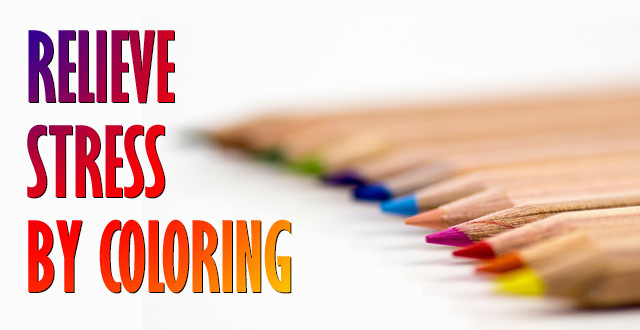 There are places that sell many different kinds of coloring books, crayons, markers, colored pencils, paint. One example is Crayola, which has a line of coloring tools called “Crayola Color Escapes”, specifically designed for adults. The prices range from $19.99 – $24.99. There are also a variety of different coloring books that can be found at different retail and online stores. Amazon is a big distributor with a vast range of themes. Barnes and Noble and Michaels are other retailers that carry a good selection which also have book clubs or coupons to offer their customers. All of these companies also carry coloring tools for adults. There are even tutorials online that can help guide the process and expand knowledge on different techniques. All in all, there are so many resources available now that have allowed so adults of ages can benefit from this amazingly therapeutic hobby.